His coaches, sensing a victory on the scorecards had been just minutes away, yowled profanities from the corner, as thousands of New York’s own did the same from the bleachers. His teammate, the affable Gian Vilante, despondently held his head in his hands. Weidman, the blue-collar giant slayer, who once ruled the middleweight division like a benevolent despot, has lost again — the fourth time in five outings. 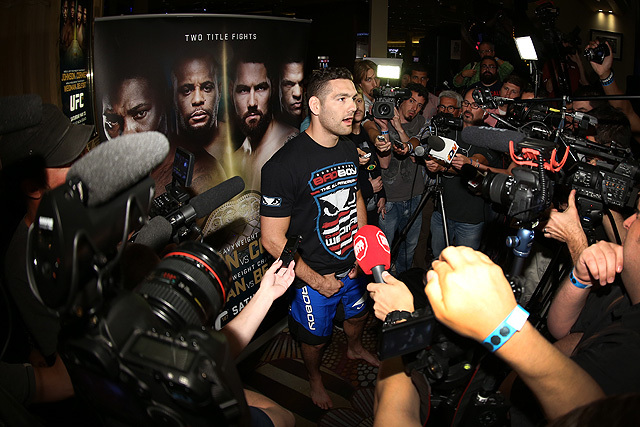 At home in New York, the state that Weidman tirelessly lobbied to pass legislation sanctioning MMA, he’s been victorious just once out of four attempts.